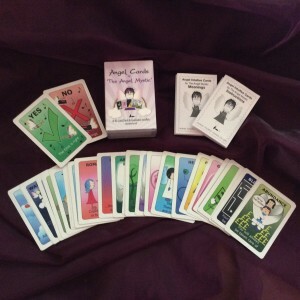 My Angel Cards are incredibly accurate and easy to use. The simple design delivers a powerful clear message. 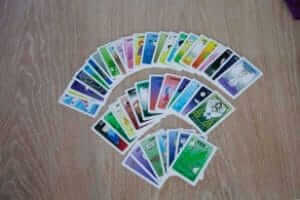 You will find it fun pulling a card a day to give you your daily guidance or you can do a full reading with them. 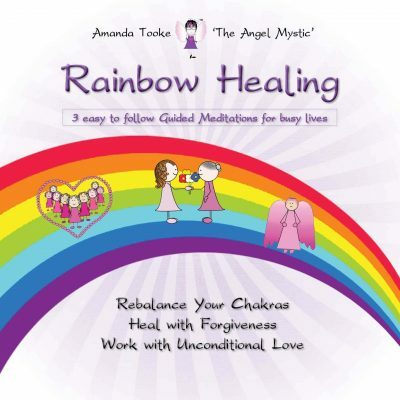 They are a great way of getting messages yourself and deepening your relationship with your Angel. You will find they are easy to shuffle and fit perfectly even in the smallest of hands, so children love them too. 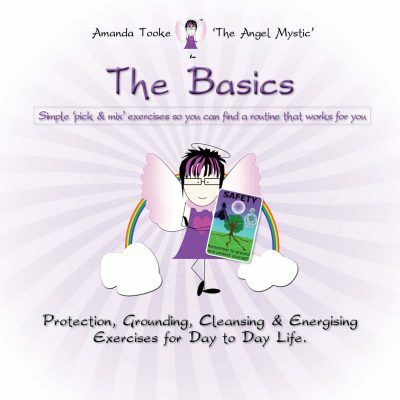 They will give you the guidance you need from your Angels and their messages indicate the signs the Angels will be giving you in day-to-day life. This bright and colourful pack of 42 cards include both ‘yes’ and ‘no’ cards, so you can get a specific answer to a question. 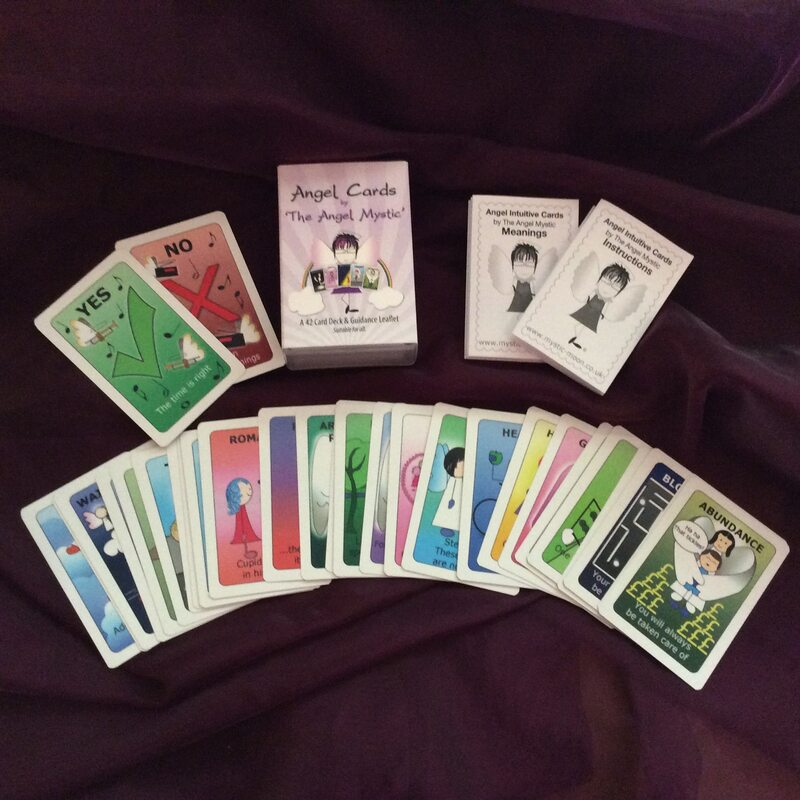 There is no right and no wrong with these cards, they are all about using your intuition, but as a guide each set comes with a full instruction leaflet and a meaning leaflet for each card. PLEASE NOTE – THERE IS NO VAT CHARGED ON THIS PRODUCT BUT MY SYSTEM AT THE MOMENT WILL NOT ALLOW ME TO SEPARATE OUT PRODUCTS WITH VAT AND NON VAT. Hello, my cards arrived today and they are fabulous, always struggled understand other cards but these are great. I know it will help with my connection with my Angels. Blessing Tracy. Hello lovely lady! I felt I had to let you know how much of a comfort your page, book,cards and downloads have been to me! I have always been interested in the “upstairs” as you so lovingly put it but always for reasons unknown to me had a very deep rooted fear that I could not explain, however in the past year I have been “opening up” to this beautiful world and very recently found out that I have infact been communicating with spirit, this came actually as a huge shock but at the same time I think I’ve always known?!?!?! Anyway these past few weeks have been extremely emotional for me but I’ve met a wonderful lady and she is helping me a lot, I met with her again yesterday and I showed her your cards and we used them with the 3 other lovely ladies that were there and oh the joy and accuracy was amazing! I have met many wonderful people on my journey so far and although I have learnt a lot from them nothing really “clicked” until I found your programmes and used your cards, sorry to go on but I felt I had to let you know how wonderful and amazing you are and how you have helped me and I have been able to help others with the using your cards, so many people like myself are “put off” by images and cards that are not familiar to them but yours are so lovely and up to date yet soooooo accurate, I am so blessed to have them, thank you thank you thank you from the bottom of my heart! You truly are an earth angel! The intuitive cards are brilliant -the more I use them the better they become at helping me .